The Chibi jig gets its name from the Japanese term "Chibi" meaning tiny. Shinichi Fukae designed the jig based off a slender shaped head with a recessed line tie that allows it to slip through all types of cover well. It boasts a hand tied skirt with a super sharp Gamakatsu hook and double barb trailer keeper to ensure your jig and trailer stay together. 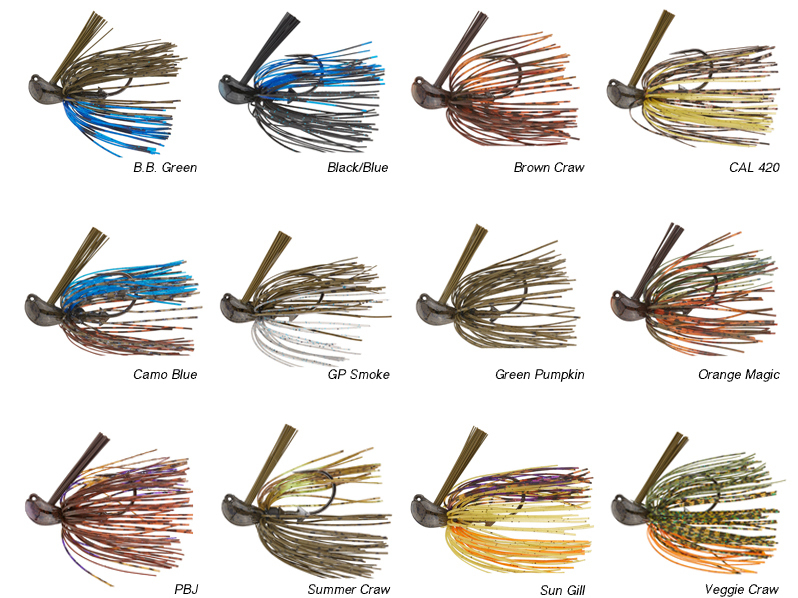 Click the button below to add the Chibi Jig to your wish list.